The Plant Communities of Iowa are vast but we will limit them to four major communities knowing there are many subgroups of these four. What is a plant community? In nature, certain species are found growing together and they form specific colonies of plants called “plant communities”. Native plants always grow in association with others to create plant communities that are essentially associations of indigenous species that have evolved over thousands of years and adapted to the specific geography, hydrology and climate of a particular area. The resulting “communities” are really groups of plants that exist together because of the given environmental conditions. Why is it important to know about natural plant communities? It is very important because we can use these native plant communities as a prescription from nature in designing our wildflower gardens or landscapes. There are four broad categories of native plant communities here in the Midwest and hundreds of sub categories as we break each of them down into more specific site conditions. It is important to recognize which one of the four categories you would like to create or reconstruct. 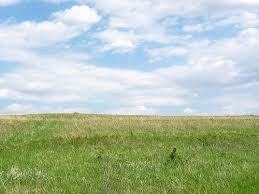 The four major plant communities of the Midwest are: Prairies, Savannas, Wetlands and Woodlands. When the white man drove deeper through the hardwood forest driving westward until they eventually broke through the dark shadows of trees and the shrubs of that forest land and peered out onto the blinding light of the open prairie, it was a sight to behold waving in the wind and appearing as a sea of rolling grasses dotted with the colors of blooming flowers. Indeed this was a strange land to these new visitors. Steeping out onto this sea of grass, the pioneer disappeared and kept moving westward. This land was covered with Buffalo, Elk, Deer, Bear, Cougars, Prairie Chickens, Beaver and all kinds of wildlife. It wasn’t long before this land was discovered, occupied and changed forever. In the 1800s, Iowans reworked the face of their new state with a speed and to an extent perhaps unparalleled in human history. At the beginning of the century, a blanket of prairie cloaked three-quarters of this “land between two rivers.” Pothole marshes dotted the flatter north-central part of the state, while a network of streams laced the rolling hills elsewhere across Iowa. Dense forests engulfed some valleys in the east and groves of bur oaks climbed out of the river corridors and onto the ridges to form savannas. Thousands of Native Americans lived on the land, harvesting wild plants and animals, growing crops, and occasionally managing the vegetation with fire. By 1900, however, Euro-American settlers had claimed nearly all of Iowa’s 36 million acres as farmland. Non-Indian settlement officially began on June 1, 1833, when pioneers first were allowed to claim new land in the 6-million-acre Black Hawk Purchase along the west side of the Mississippi River. By 1846, when Iowa became a state, census records listed 96,088 people. The population doubled to 192,914 by 1850 and topped one million before 1870. In 1900, Iowa had 2.2 million people, compared to 2.9 million people today. Most lived on the state’s 200,000 farms, working land where 95 percent of the prairie, two-thirds of the woodlands, and most of the wetlands had been converted to agriculture. This dramatic, swift, almost complete change of diverse prairie to a monoculture of cropland profoundly altered the ecosystem. Twenty-eight million acres of bluestem, dropseed, compass plants, coneflowers, gentians, and hundreds other species were transformed, in a relative eye-blink, into a patchwork of corn, wheat, oats, hay, and pasture. Those plots have expanded to the huge roadside-to-roadside corn and soybean fields that we see today. Before Iowa was settled a map depicts the vegetation that was present around 1850. Note the majority of the landscape was tall grass prairie. There were thousands of acres of wetlands, especially in Central and Northwest Iowa. The Woodlands were confined to the steep areas along streams and in the Driftless area of Iowa. Rolling and steeper hills were occupied by Savannas. It only took 60 to 70 years to almost completely change the ecosystem of Iowa. It is said that this was one of the quickest and largest annihilations of a natural ecosystem. Oxen with wooden and steel plows developed by John Deere ripped up the prairie sod and crops were planted. Glacial deposits occurred over the entire state of Iowa during a period of 2.5 million years and as recent as 10,000 years ago. The only region not affected by glaciations is northeast Iowa where bedrock is exposed in many areas. A multitude of events were occurring simultaneously during the last glacial period known as the Wisconsian Glacial Age. Notably, while the older glaciers of the Nebraskan, Kansan and Illinoinian had long retreated and left their heavy loads across the state, a new glacier advanced from the north covering the north central and central pars of the state. At the same time huge amounts of silt were blowing in from the northwest from the exposed glacial plains due northwest of Iowa’s western border. Loose materials much younger than the bedrock beneath dominate the present land surface across Iowa. These materials consist of sediment originating from ice sheets, melt water streams, and strong winds during a series of glacial events between 2.5 million and 10,000 years ago (Quaternary). This familiar “dirt” consists of pebbly clay, sand, gravel, and abundant silt, which over time have weathered into Iowa’s productive loamy soils. These easily eroded “Ice Age” deposits account for the gently rolling appearance of much of the Iowa (and Midwestern) landscape. During the Ice Age, glaciers advanced down into the mid-continent of North America, grinding underlying rock into a fine powder like sediment called “glacial flour.” As temperatures warmed, the glaciers melted and enormous amounts of water and sediment rushed down the Missouri River valley. The sediment was eventually deposited on flood plains downstream, creating huge mud flats. During the winters the melt waters would recede, leaving the mud flats exposed. As they dried, fine-grained mud material called silt was picked up and carried by strong winds. These large dust clouds were moved eastward by prevailing westerly winds and were redeposited over broad areas. Heavier, coarser silt, deposited closest to its Missouri River flood plain source, formed sharp, high bluffs on the western margin of the Loess Hills. Finer, lighter silt, deposited farther east, created gently sloping hills on the eastern margin. This process repeated for thousands of years, building layer upon layer until the loess reached thicknesses of 60 feet or more and became the dominant feature of the terrain. Even though the prairie is gone, it has left us with a black treasure, our soil. Over the eons of time the plants that grew on the prairie formed the richest soil on this planet. Millions of acres are blanketed with black earth known as prairie soils. What makes soils the way they are? How did Iowa end up being the most fertile land in the world? A unique combination and interaction of all of these factors formed our soils. How are the soils of Iowa different? By changing just one factor, we affect a major change in the soil. Factors that interacted to form our soils can be simplified to: Parent Material, Climate, Topography, Vegetation, Time and Human Beings. Soils are conceived, as we are, from our Parent Material. Parent materials are composed of the raw earth that lays exposed to the elements. Major parent materials in Iowa consist of bedrock, glacial deposits called glacial till, water deposited material or alluvial deposits, and wind blown silt known as “loess”. In other parts of the world, soils may be formed in volcanic ash or rock. Climate has a profound effect on our soils as they are influenced by rainfall, temperature, freezing and thawing, sunlight and day length. The way the land lays called Topography greatly influences our soils. From the steep hills along river corridors to the level bottomlands, slope of the land can change the characteristics of our soils. Vegetation and Organisms dramatically affect our soils. Within a very localized area, we can note the effect of our past vegetation and what influence it has had on soils. From the deep rich organic prairie soils developed under the influence of the tall grass prairie to the soils developed under a woodland condition depth of topsoil and fertility vary greatly. We probably forget about a factor that is ever present and that factor is Time. It is obvious when we think about the sediment deposited by a river or stream, which is in geologic times, is extremely young. What a contrast when we sit atop a rock out crop that has been exposed for eons of time. The stream deposited material stays forever young while the bedrock of a long ago sedimentized ocean bottom gets older and older. Soils can’t hide their age either. On the recent geologic scene came Humans and they have now joined the forces of soil forming factors. By plowing, the natural vegetation and protection of the soil has been removed increasing erosion to an alarming rate. Topsoil is destroyed, texture of the soil, which allows infiltration of water, is altered, soil forming organisms are eliminated, fertility is diminished as organic matter is washed away and soil tilth is destroyed. Man has and is having his influence on our soils. Fallow land and row crops now occupy land that was once a lush sponge to absorb water and cleanse it. Once we understand the importance of our geologic past, recent history and soil forming factors, we can start to put together nature’s puzzle. This intricate puzzle laid down over the eons is now at our fingertips for those who pay attention. What other questions do we need to ask to get this right combination of plants that will fit our site? What direction is your site facing, called Aspect? A north and northeasterly direction may receive much less sunlight on a steeper slope than those facing south or west on the same steepness of slope due to the angle of the sun. Is your site level, rolling or steep? Slope as a steep south slope may be hot and dry while a steep north slope may be cool and moist. How much Sunlight does your site get? If it is dense shade versus full sunlight, you will need entirely different plants to suit your situation. What is the condition of the soil in regards to Soil Moisture? Drainage of the soil can range from saturated to excessively drained. What are the sizes of the particles that make up your soil, called Texture. It could range from sand to clay which an important characteristic to note as some plants will not tolerate these conditions. For detailed description of your soils contact your local NRCS office and get a soil survey report of your county. Once the plant community is determined, select the most appropriate species for your plant community. Now you are using nature’s prescription for success in creating your native wildflower planting.